In the land of Aussies, poker is hot on the plate with ongoing events, upcoming festivals, and online poker riding on the edge. Here is a rundown of all the latest news. The latest craze in the Australian poker circuit is without a doubt The Star Poker Festival, the country’s newest poker event of the year. In partnership with the Australian Poker League (APL), Aussies from all around the country were seen flooding the doors of The Star Poker Room in Sydney with the festivities underway just over a week ago. Running from February 28th– March 13th, The Star Poker Festival schedule is lined up with a wide variety of tournaments. There are eight side events ranging from a low buy-in of AUS$330 to a hefty AUS$5,000 for players with deeper pockets. The highlight of the festival is the APL $1,000,000 Guaranteed Main Event which is certain to attract a big field with its affordable buy-in of AUS$1,500. Two days ago, cards were in the air for the start of the Main Event. Adrian Attenborough and Matt Rook topped the first two qualifying days. The APL Million will run a course of seven days with four entry flights, Day 2, Day 3, and the Final Day. Opening Event: Ryan Bownds – AUS$61,725. 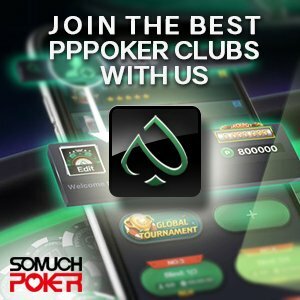 Online poker may be the ultimate playground for many pros, recreational players, and young poker aspirants all over, however in Australia that virtual world is currently under major threat. Last December, Australian online poker players were up in arms regarding a proposed bill introduced by the Minister of Human Services, Alan Trudge, which in the event of its passing, may ban online poker in the country. While the bill’s primary focus is to protect problem gamblers from being the target of shady offshore operators, it however does not exclude online poker operators from the list. Due to this, the Australian Online Poker Alliance (AOPA) was formed and the group has taken immediate active measures in reaching out to various lawmakers. In recent days, the AOPA’s passionate efforts earned them a huge middle-of-the-road victory with Senator David Leyonhjelm proposing an amendment that would exclude online poker from the proposed bill. With that addendum now on the table, all they can do now is wait and see with the bill expected to be on review later this month. Australian poker festivals just keep on coming with The Star announcing the upcoming Sydney Championships running from July 18th – August 7th at The Star Poker Room. The Sydney Championships is on its 9th year making it the longest running poker festival held in Sydney. This year, the event promises to be much bigger than previous with an added one week of festivities for a total of 21 days of nonstop poker. There are 13 events running throughout with the AUS$1,000,000 Guaranteed Main Event highlighted on the last three days.